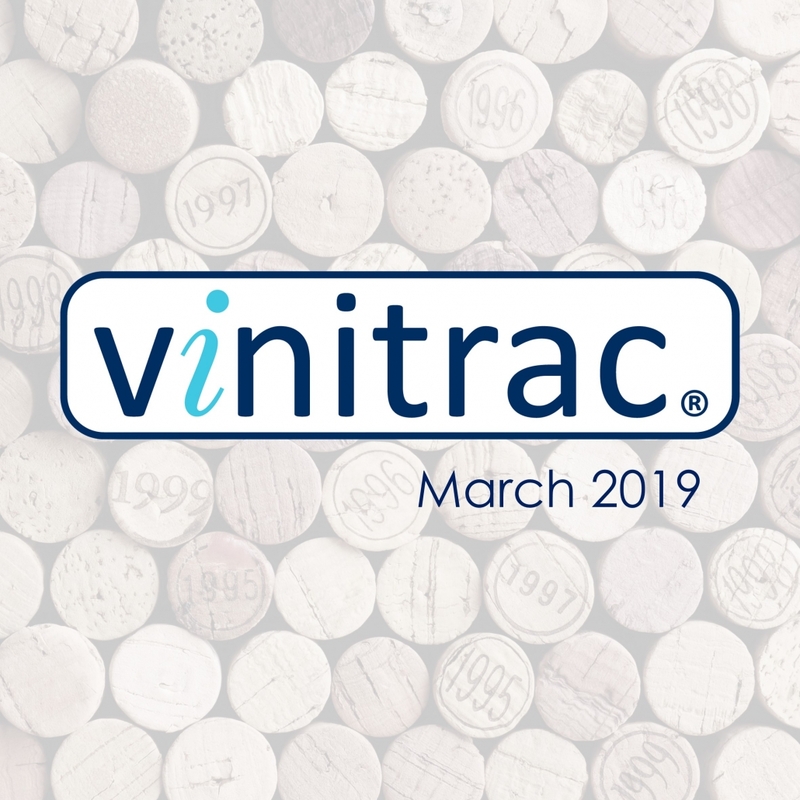 This March, Wine Intelligence will launch the next wave of Vinitrac®, the world’s largest ongoing online study of wine drinkers. Talk to one of our team today to see how Vinitrac® can best help you answer important company questions about your wine consumers. 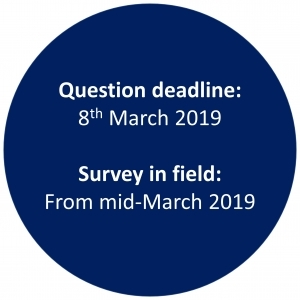 This next wave of surveys will be rolled out across 33 key wine markets that account for almost 80% of global wine purchases. 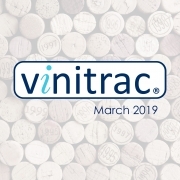 Vinitrac® is our wholly-owned global survey of wine drinkers, which monitors and tracks the attitudes, behaviour and consumer relationships with still and sparkling wine around the world. Vinitrac® runs as an omnibus survey consisting of a standard question set that can be supplemented with your bespoke questions. You can also choose to run a completely bespoke survey, which gives you more control over the make-up of the survey sample and the structure of the standard question set, as well as the option to add bespoke questions. 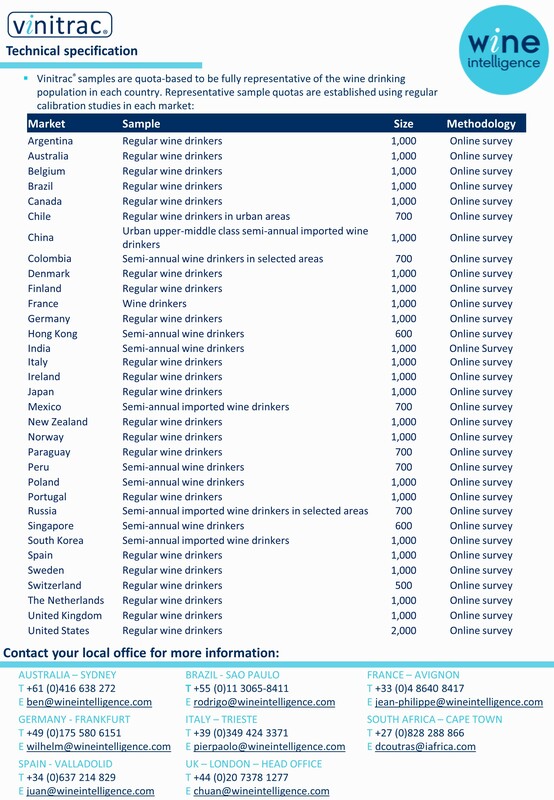 Each survey uses a representative sample of adults who drink wine in each of the countries where we operate. Other markets available upon request. Please contact us for details. Talk to one of our team today to see how we can best tailor Vinitrac® to your company’s needs.